The human immune system is a fascinating and complex defence mechanism. It is of importance to the skin treatment therapist because it is a dominant part of the skin barrier defence systems. Any failure or vulnerability of the skin barrier defence systems will be reflected by the manifestation of a number of skin conditions. The immune system consists of two distinct immune pathways, Known as the Innate and Adaptive systems. The Adaptive system is as the name suggests, immunity the body develops over time as a result of adapting to interaction with other organisms and pathogens. Adaptive immunity is also known as the term Acquired immunity. The main difference between the two systems is the speed that the immune response occurs. Innate immunity identifies infectious agents by their pattern recognition receptors, mounting an immediate rapid response by releasing Macrophages to fight the infection. The innate system is the immunity the body is born with and usually has the characteristics and any strengths or weakness inherited from the parents. This response can be considered as pre-programmed as the immune system already knows what it recognises as a pathogen and how to deal with it.Conversely, the Adaptive immune response is much slower to respond, and may take several days to prepare a targeted attack on the infection. The Adaptive system recognizes previous contact with a specific microbe & directs its defense against that invader with antibodies & T cells. 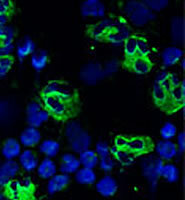 The adaptive system monitors the site of response and deploys more antibodies as required. Adaptive immunity is not only facilitated by infectious interaction with pathogens, (natural) but by artificial means. Immunization is what is referred to as active immunity development. Other sources of artificial immune development are by the passive antibody transfer, (also known as Temporarily induced immunity) which as the name suggests can also be considered a temporary form of immunization. Typical examples are blood plasma or serum. Immunity derived from passive immunization however usually lasts for only a short period of time, and there is ever present risks for hypersensitivity reactions. Typical examples of the managed use of Passive antibody transfer is the treating of acute infections and poisoning. The synthesis and secretion of Anti-microbial peptides (AMPs) occurs in areas of the body exposed to environmental microbes, such as skin & nose & mouth. As the first point of contact with airborne or contact pathogens, they provide an immediate early defense against infection. Further back-up protection is provided by systemically derived AMPs which are stored in the granules of phagocytes (A group of immune cells specialised in finding and “eating” bacteria, viruses, and dead or injured body cells) that are released on demand at sites of microbial invasion. These phagocytes have receptors on their surface that are used to bind infectious agents to themselves. Most AMPs are of the defensin or Cathlecidin peptide families, and they mediate a large range of biological effects, such as influence on inflammatory & immune cells, re-epithelialisation of healing skin, the inducing of Angiogenesis, and the Apoptosis (programmed cell death) of immune cells. 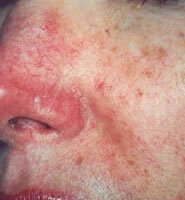 The skin condition Rosacea is a good example of a faulty immune/defense system in action. Following is an overview of the mechanisms of what occurs in this common condition. As mentioned previously, Cathlecidin peptides are Anti-microbial peptides (AMPs) of the innate immune/defence system. They are found in sweat and saliva, and are produced by keratinocytes, langerhans & mast cells and activated by serine protease enzymes. Among their actions is the attraction of neutrophils, mast cells, monocytes and T cells. In their defensive roles, these positively charged Cathlecidins react with the negatively charged surface of microbes, (such as bacteria, viruses and yeast) destroying them. As previously mentioned, they also intensify Angiogenesis, keratinocyte proliferation, and synthesis of extracellular matrix. 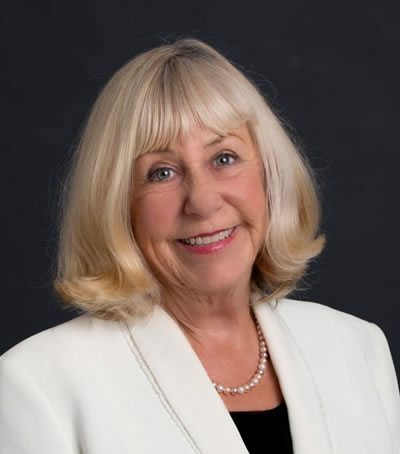 In the groundbreaking research conducted by US researcher Dr Richard L. Gallo and associates, they found elevated levels of Cathelicidin & Stratum corneum tryptic enzymes in rosacea skin. This over abundance of AMPs combined with an increase of Serine Protease (enzyme) activity results in a generation of pro-inflammatory forms of the antimicrobial peptide Cathelicidin, and consequent inflammatory skin response. It is this inflammatory response that promotes tissue changes similar to those seen with Rosacea. To understand the relevance of this in we must probe a little further in to the serine protease enzymes and their role. Serine Protease is a class of enzymes that cut peptide bonds in proteins, and one of the amino acids at the active site is always serine, which is where they get their name. The functions of this enzyme are inflammation, immune system response and blood clotting. They are paired with serine protease inhibitors, which normally turn off the activity of the enzymes when they are no longer needed. Recent research found elevated levels of Cathelicidin & Stratum corneum tryptic enzymes in rosacea skin. However in a skin with Rosacea, the protease inhibitors do not appear to be turning off or regulating the enzyme activity, thus the inflammatory response goes in to a loop and self perpetuates itself. The significance of this is that the approach to successfully treating Rosacea will need to target antimicrobial protein activity, and not bacteria as previously thought for many decades. What this means is that our approach with patients will need to change and we will have to communicate that acne rosacea, or “adult” acne, may be caused by an overabundance of naturally occurring antimicrobial proteins in skin, and not, as previously thought, by the bacteria responsible for causing acne vulgaris. This may be difficult at first, as there will be ingrained beliefs from pharmacy and medical personal who have yet to digest this new information.